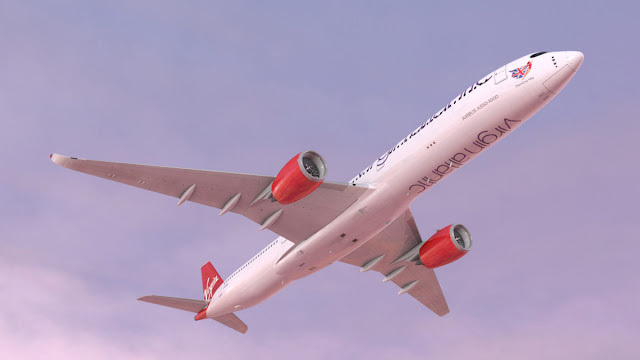 The new aircraft will fly from both London Heathrow and London Gatwick, with initial flights already scheduled to operate between London Heathrow Airport and New York's JFK. 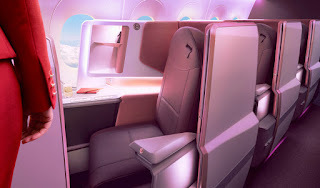 The aircraft will feature 44 seats in the Upper Class business offering, there will be some 56 seats in the Premium Economy and in the main economy cabin, there will be 235 seats. 235 seats in a 3-3-3 configuration, pitch 31 inches in classic and light offerings, 34 inches in delight. Seat width up to a max of 17.4 inches. This is the latest bespoke design for ultimate comfort in Economy with bespoke woven wool blend fabrics inspired by fashion houses. Six-way adjustable headrests ensure comfort, an 11.6-inch seatback screen, USB port, intuitive new entertainment system, controllable by personal devices. 56 seats in a 2-4-2 configuration with a pitch of +34 inches and a 7-inch recline. The seat width is 18.5 inches. Rich, custom leather seats and high-end finishes feature in the premium economy cabin of the A350. 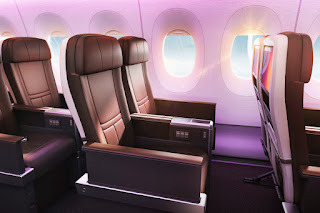 It has been designed to incorporate a lot more storage space, including pockets for storage including a side amenity pocket, as well as upper and lower seatback stowage. A generous 13.3-inch screen for the next generation entertainment system. 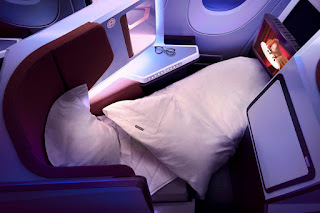 Specially tailored Premium seat features a luxurious Claret leather seat with intricate stitch detailing, a pressed black wool cocktail tray and full-size meal table, and an Oxblood red upper literature pocket interior. 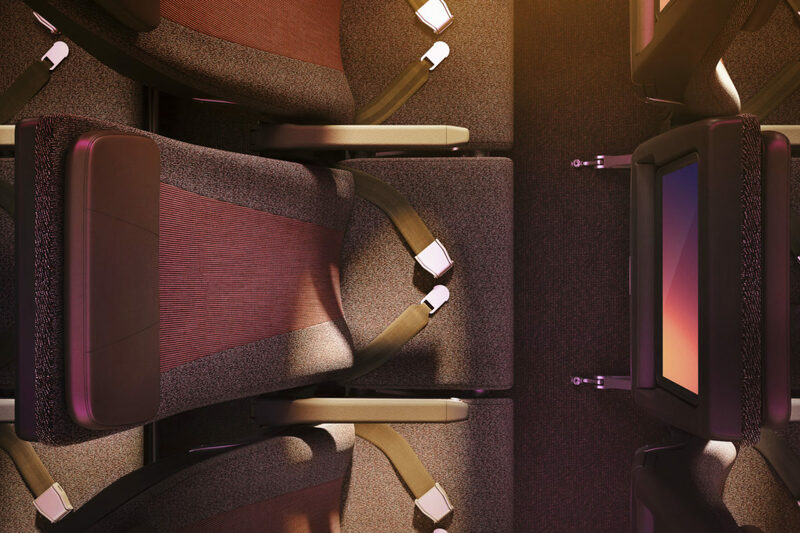 A USB port for every seat and a four-way adjustable leather headrest. 44 seats in a 1-2- configuration with a 44 inch seat pitch and recline into a fully flat bed. Virgin introduce a special social area for its Upper Class passengers to relax, mingle, chat, grab a drink or even dine. It is called The Loft is a unique space with comfort and high high-end finishes and space for five people seated and three more standing. 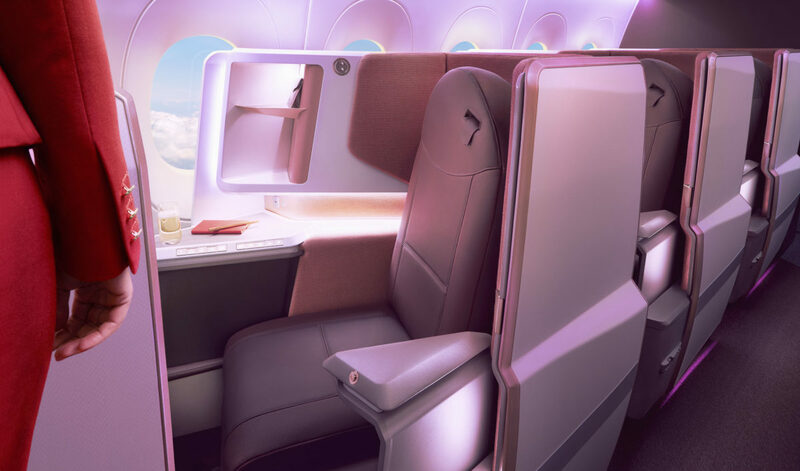 All of the chairs in The Loft feature seatbelts, a new feature for Virgin Atlantic, which means passengers can stay there, even in bump flights and turbulence. The space features a 32-inch touchscreen monitor and eight Bluetooth audio jacks so you can view content together. This is the first time Virgin has offered Bluetooth in the social space. 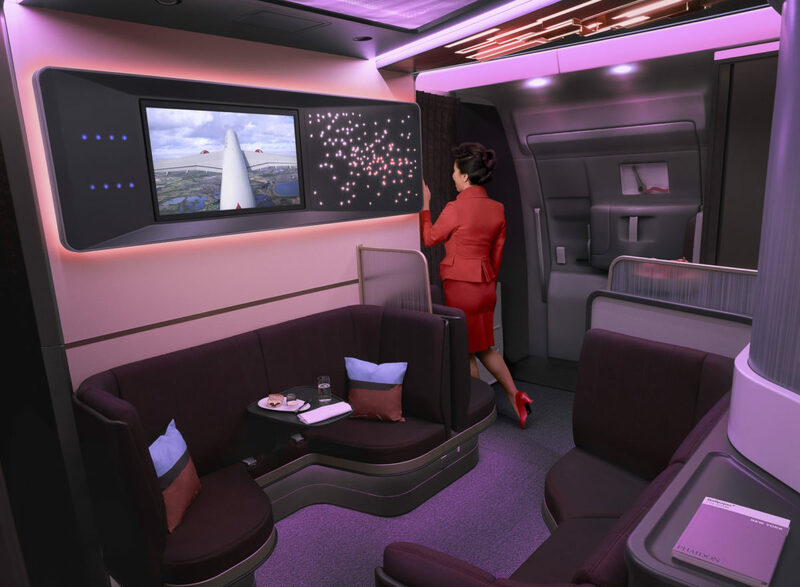 The airline collaborated with London based Factory Design to design this social area and is manufactured by AIM Altitude in Bournemouth.